The three-dimensional model of 2500hp shale gas fracturing truck chassis frame was established and the natural frequency of the frame was obtained by modal analysis. Taking the displacement power spectrum density of a typical road as a random excitation, the random vibration response of frame was obtained by PSD module of finite element analysis software ANSYS. Based on the results of PSD analysis, the frame’s fatigue characteristic under random vibration condition was studied according to Gauss distribution theory and Miner fatigue cumulative damage law, and the random fatigue strength of the frame was also calculated and optimized as well. A reliable and practical method was provided to verify the fatigue strength and to predict fatigue life of fracturing truck chassis frame. 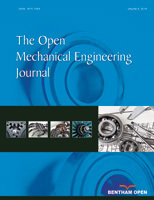 The conclusion provides an important theoretical reference for optimization of the frame.